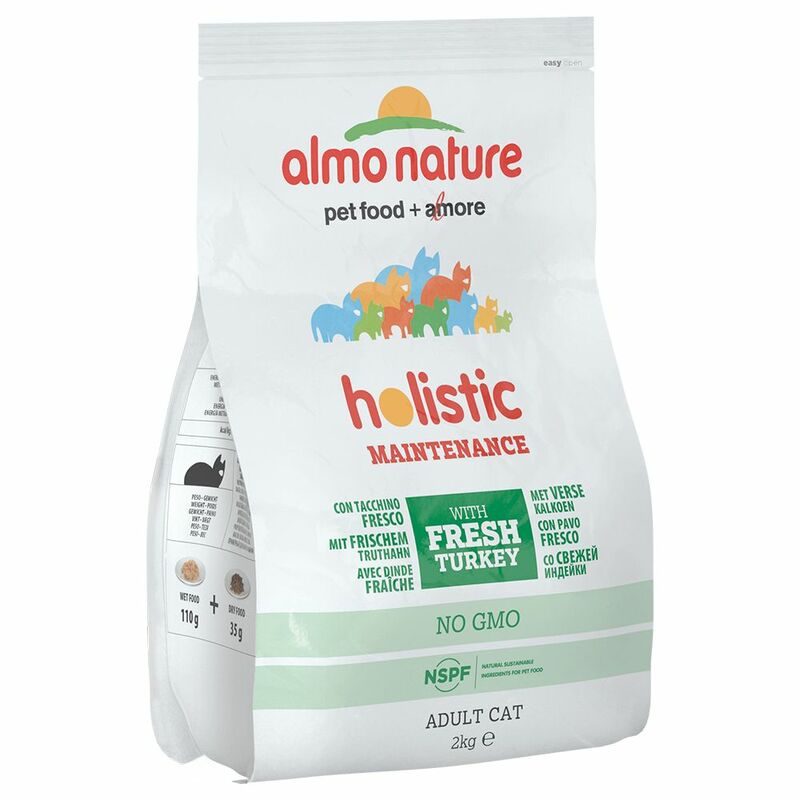 This complete balanced Almo Nature Holistic dry cat food is the ultimate way to treat your cat to a delicious yet highly nutritious meal, rich in meat or fish from high-quality sources. It is gently prepared and naturally preserved, offering your cat all of the vital nutrients needed to stay happy and healthy whilst being completely free from artificial additives such as preservatives or colourings. The Almo Nature Holistic range comes in a variety of flavours, each of the finest quality and full of vital nutrients to keep your cat healthy and happy, with good heart, eye, nerve and brain function as well as healthy skin and gloΒy fur. Each enticing flavour will treat your cat to a balanced meal with a taste sensation. The gourmet meal for the fuΒy feline! Almo Nature cat food is so unique and ineffable like all natural things. Almo Nature - from a pet's point of view! More information regarding Almo Nature Holistic dry cat food varieties can be found here: Almo Nature Holistic Dry Cat Food.